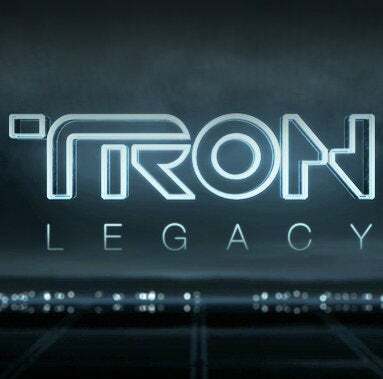 We finally saw some new footage from Tron Legacy, the new Tron movie. And it was totally worth waiting a year for: Kinetic, delirious and full of light-cycle brilliance. Spoilery descriptions below. It's been a full year since Disney surprised us and blew our minds with a surprise glimpse of the Tron sequel we didn't even know was coming. Now, for the first time, we got to see some actual scenes from the movie, and it fully uploaded us into the cyber-world. We see Flynn's Arcade from the outside. A voice-over says, "I said I would tell you if I heard anything about your father. I just got a call from the arcade. That number's been disconnected for 20 years." Sam Flynn drives up on his bike and unlocks the front door of the arcade. The Flynn's set is recreated perfectly, we even see the couch in Flynn's apartment upstairs, covered in bed sheets. The arcade is dark, but one machine is obviously on in the back. As Daft Punk plays, Sam walks to the back past the tarped machines. He pulls the tarp off the final game and it is on, clearly labeled "TRON." Sam starts to put a coin in the machine, but drops it. As he goes to pick it up, he notices a scratch in the tile floor. On a hunch, he pulls the TRON cabinet out and discovers a secret passage behind the machine. Sam walks into the passage and the machine ominously slides back into position, closing the door. We see a city inside the computer. Everything is black, with buildings and blocks outlined with a faint blue glow. We see the Blue Guy, hiding behind one of the blocks from an aerial searchlight. Suddenly, he leaps out and a blue lightcycle digitally appears beneath him in mid-air. The lightcycle is black and glossy, with blue lines, and leaves a translucent blue stripe behind it, very much an updated version of the movie's lightcycle color trail. He is immediately pursued by a guy on an identical lightcycle, except the lines on his outfit and cycle are light green. They drive off toward the distant city, with the cycles dodging objects and driving down stairs. The Blue Guy spots a narrow passageway through a mountain and drives for it. The Green Guy doesn't respond quickly enough, and tiny batwings shoot out of his cycle, bringing it to a stop (Who knew drag resistance existed in computers?). The Blue Guy continues through the tunnel and comes out on the other side, heading for the bridge that will take him into the city. But the Green Guy heads him off at the pass, and the cycles crash with a boom that physically shook everyone in the room. The boom is also loud enough to shake Kevin Flynn, who opens his eyes in another part of the computer. Where the other characters' features are obviously animated, he looks normal, and is dressed completely in white and sits in an unnaturally white room. He watches as the two battle, apparently walking toward a window. When the Blue Guy is knocked to the ground, the Green Guy pulls out his disc and the Blue Guy protests, "but it's only a game." The Green Guy reveals his face and responds, with a smirk, "Not anymore." Update: We just got word from an anonymous tipster that the Green Guy is, in fact, CLU, Flynn's program from the original Tron. A closer look reveals that his face is that of a young Jeff Bridges.